Did you fall off Santa’s nice list this year? Hey, it happens. No judgment here. 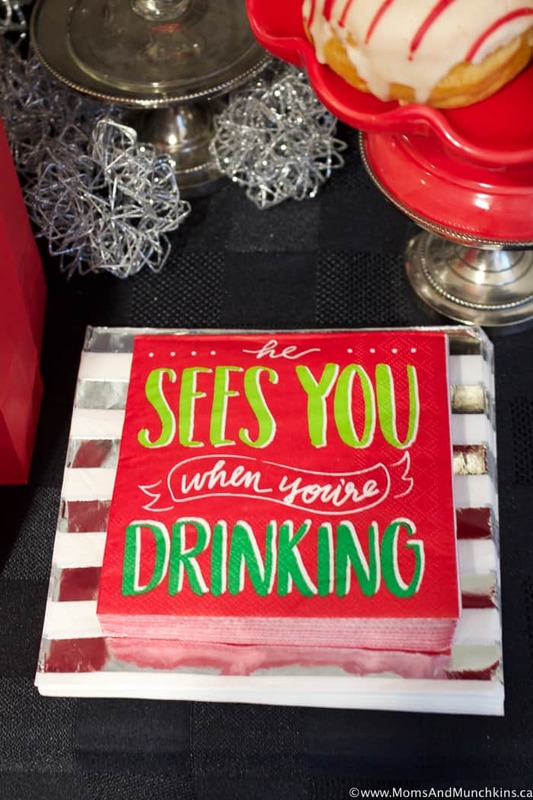 For those of you who want to celebrate that slightly naughty side this holiday season, we have some ideas for hosting a Naughty Christmas Party plus we have the free printables to help you get started! 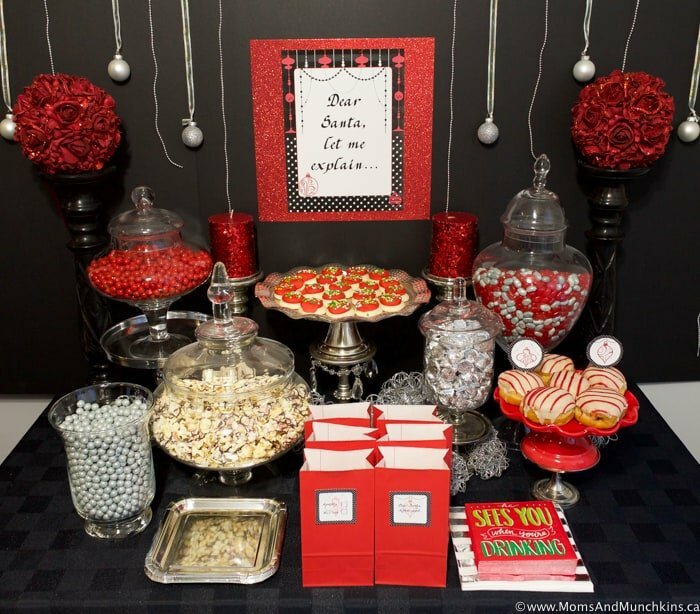 This would be a fun idea for a girls night around Christmas or even a singles party during the holiday season. 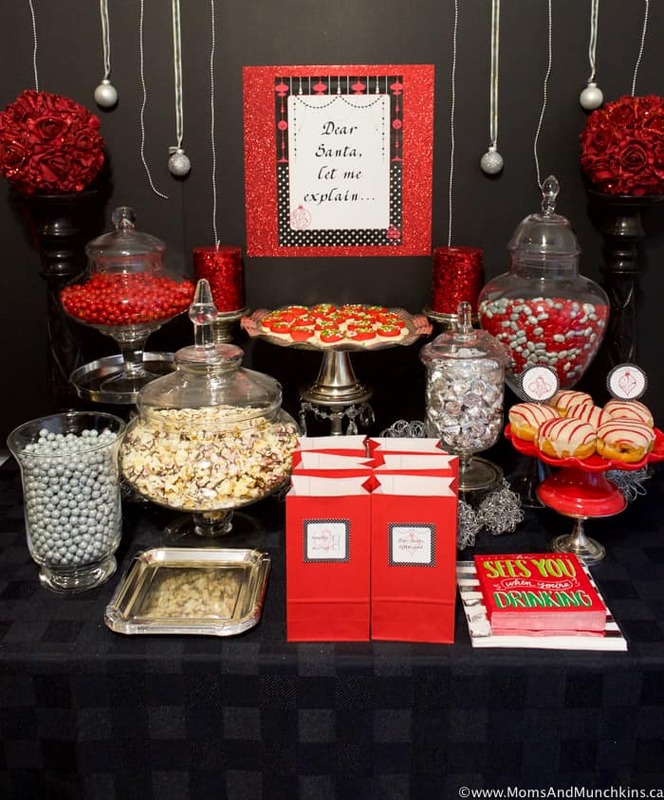 I’ve kept this party pretty PG as far as “naughty” goes but you can let your imagination run wild with this theme when planning your own party. 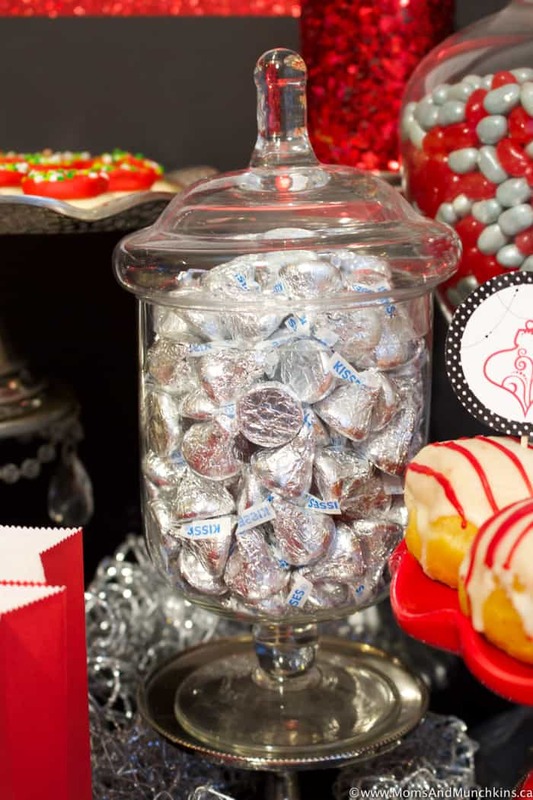 We have free printables to help with your party planning and decorating. 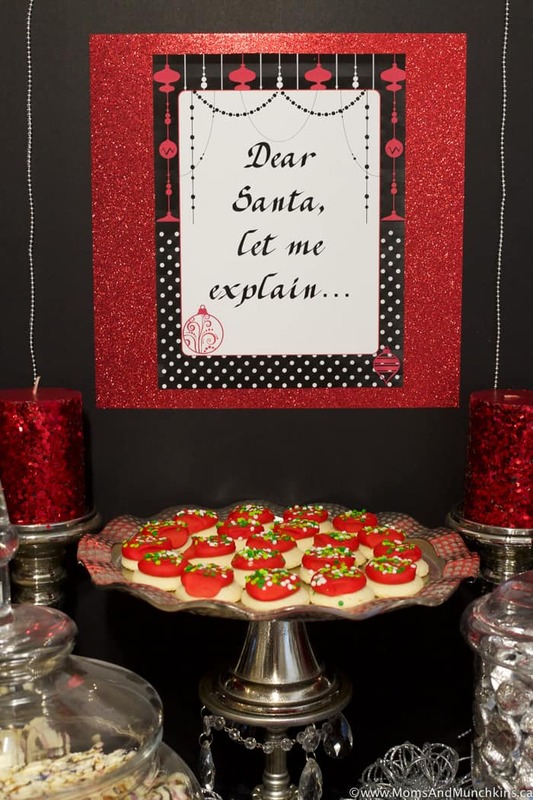 It starts with a free printable invitation and then we have a “Dear Santa, let me explain” sign, cupcake circles, square tags with 9 different naughty-themed phrases, and gift tags. 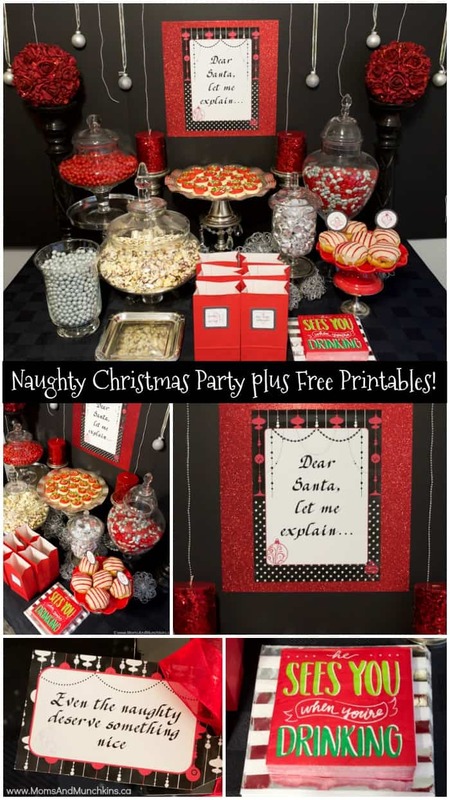 You can access the free printable invitation here and the rest of the Naughty Christmas printables here. 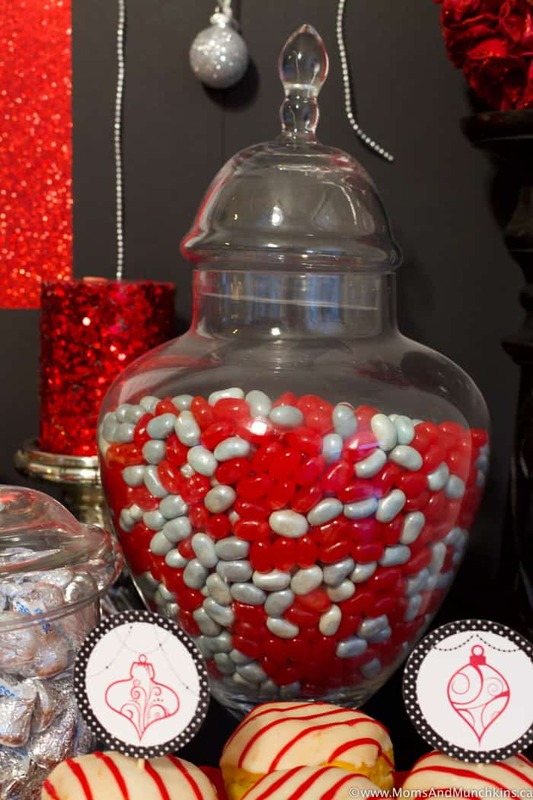 For the naughty tags, I used these on red paper bags that guests could fill with party treats like chocolate coated popcorn and candies. You could also use these on treat boxes or as square cupcake tags. 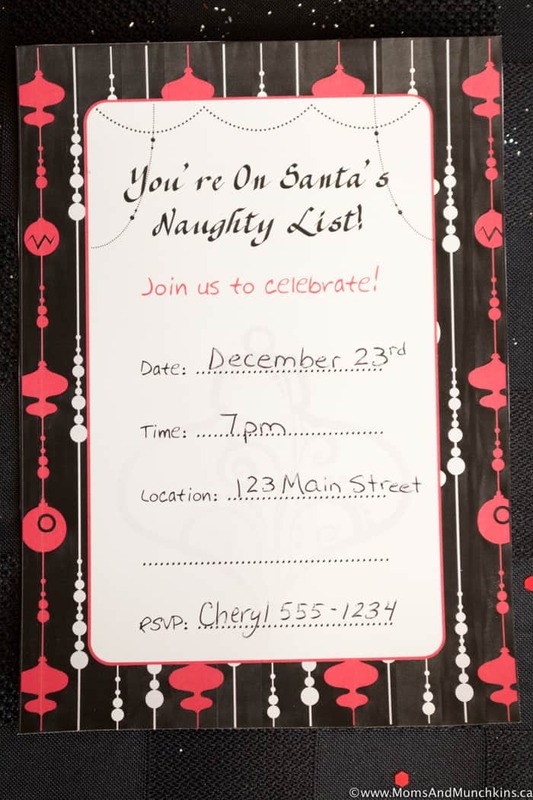 For the invitation, it’s a free printable file that you print off on your computer at home and then print your party information on. 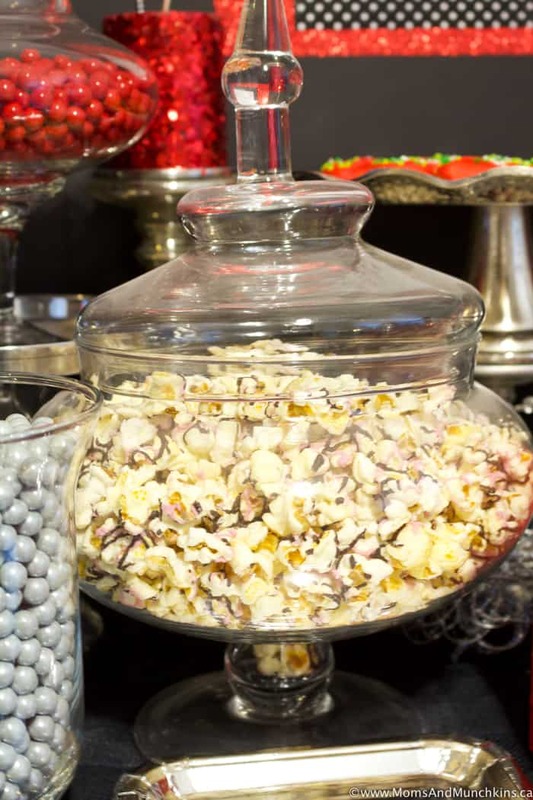 I kept the snacks for the party pretty simple, candies, cookies, donuts, and popcorn. 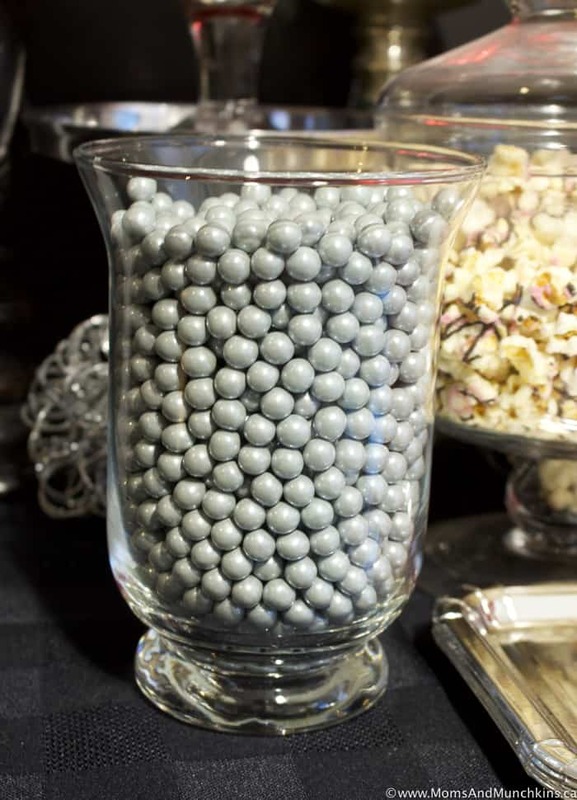 Depending how “naughty” you wanted to be with your party and the ages of your guests, some other ideas include JELL-O shooters or other alcohol-infused treats. 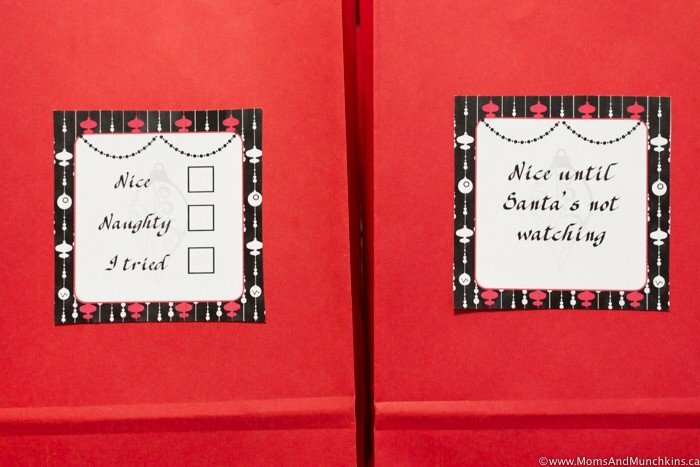 In the free printable package, we also have some “Even the naughty deserve something nice” gift tags that you can use for a gift exchange or on party favors for the guests. 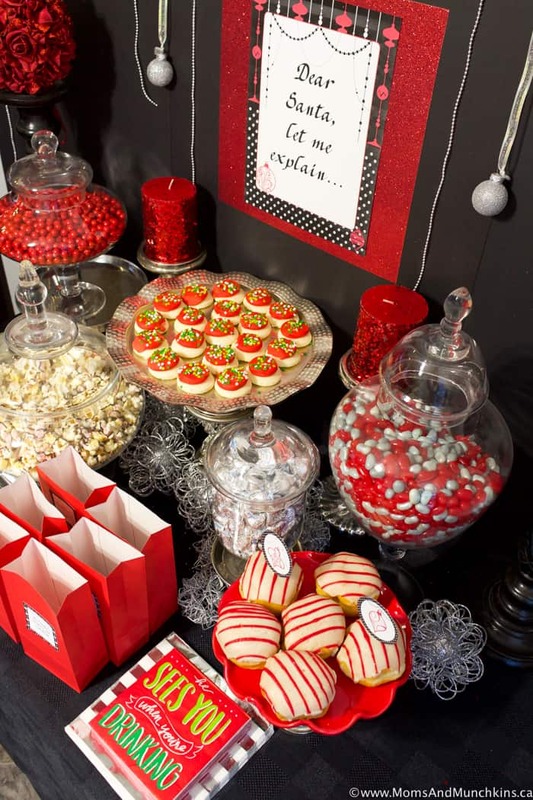 For party activities, you could make up your own “naughty” version of some classic games like a “naughty list” game of charades or Pictionary. Need help brainstorming some naughty party games? A little Google searching of “bachelorette party games” would be a great place to start. For more fun holiday ideas, visit our Christmas page! 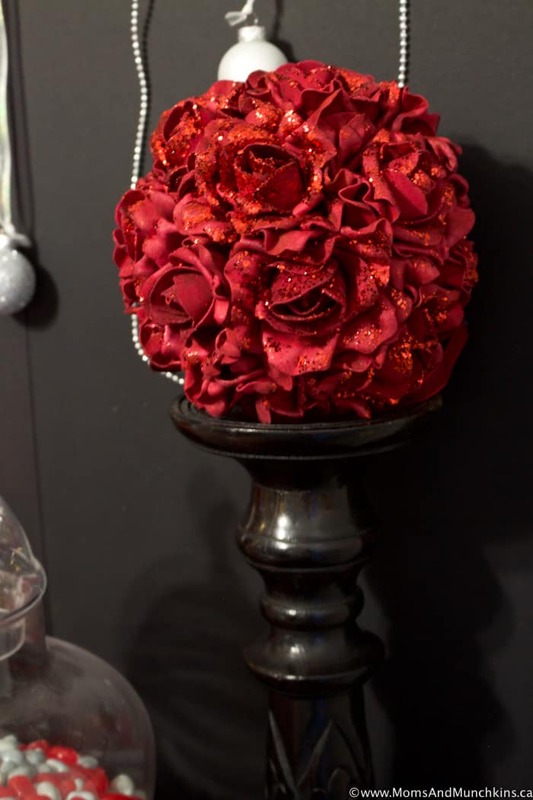 Stay updated on the latest home entertaining ideas by following us on Facebook, Twitter, Pinterest and Instagram.